Having played professional football and been involved in sport at the highest level, Benjamin now has over 18 years experience in Fitness Training and Lifestyle modification, and delivered over 25,000 sessions of personal and group training in London. 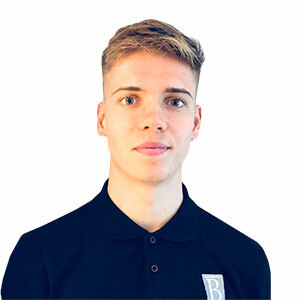 With a strong educational background in exercise physiology, biomechanics and nutrition plus a Sports Science degree from the renowned Loughborough University, Benjamin is able to offer a truly bespoke personal training service that gets fast, maintainable results. Accreditation as a DNAFit Trainer enables him to tailor fitness and nutrition packages to a clients DNA. Bespoke meal plans are available for delivery on request. Combined with a revolutionary ‘FIT’ approach to health and wellbeing, a specialist knowledge of functional strength training, running technique and performance coaching, he is able to achieve the genetic and movement potential of each and every client. Benjamin is founder of FIT1000 Bootcamps, the new breed of bootcamp experience operating in the exclusive surroundings of Hyde Park, Regents Park and Primrose Hill as well as other locations. He is registered with the Register of Exercise Professionals as a Level 3 Advanced Instructor and an Official Royal Parks Fitness Operator. Benjamin constantly strives for perfection in his work. The driving force behind his success has been his desire to be the best at what he does. Ben has a solid educational background with a 1st Class honours degree in Sports Studies. He’s qualified as a level 3 advanced personal trainer with the Register of Exercise Professionals and an accredited DNAFit Trainer. As a keen runner and cyclist, Ben’s passion lies heavily in endurance and performance training although he specialises in functional training and outdoor bootcamps where he puts his skills to the test with FIT1000. Coming from a science background, he strives to individualise each clients program according to genetic predispositions with nutrition being at the forefront. With that in mind, coupled with his vibrant personality and overriding commitment, Ben is an integral part of the team in pursuit of total fitness and wellbeing. 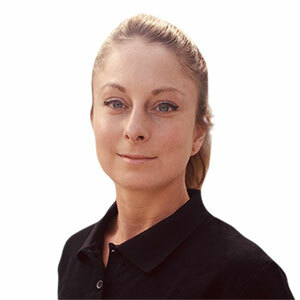 Claire is a level 3 advanced personal trainer and NLP therapist who has vast experience in helping clients to achieve their health and fitness goals. As an athlete, Claire has 30 years experience in elite sport competing at a national level from the age of six in five different disciplines; gymnastics, cross-country running, athletics, weightlifting and skeleton bob. 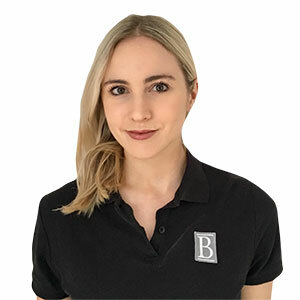 Her wealth of knowledge and experience in sport means she is a highly adaptable trainer who meticulously tailors sessions to fit the needs of clients achieving remarkable results. 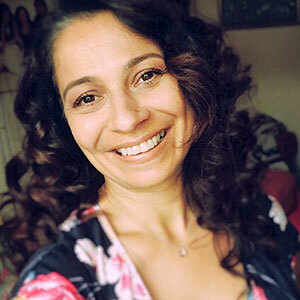 Rina has been involved with yoga since 2002, and wanting to deepen her practise and understanding, decided to join the Chi Kri Yoga teacher training programme. She graduated at Gold and Platinum Standard with 500 hours teacher training. She has taught beginners yoga since 2014 and is also a Chi Kri chair yoga specialist. Rina believes regular yoga practise gives you a unique life skill – the ability to achieve improved emotional, physical and mental health and well-being. The emphasis is on reconnecting with yourself, finding the right balance within, and weaving yoga into the daily fabric of life. Her approach is to use patience and understanding for every student, whether a novice or regular practitioner of yoga. Using a careful blend of hatha yoga, meditation, breathing techniques and relaxation, each session is designed to leave you feeling peaceful, grounded and relaxed, yet energised and motivated. Each student is encouraged to work within their capacity at a pace that is right for them. Rina takes care to ensure each individual is taught in a compassionate and caring way that suits their unique needs. This way students are empowered to develop a healthier and balanced connection between mind, body and breath.